The minimum age for this tour is 4 years old. If you are travelling with children under 4 years, you can join the luxury coach option which you can view and book here. 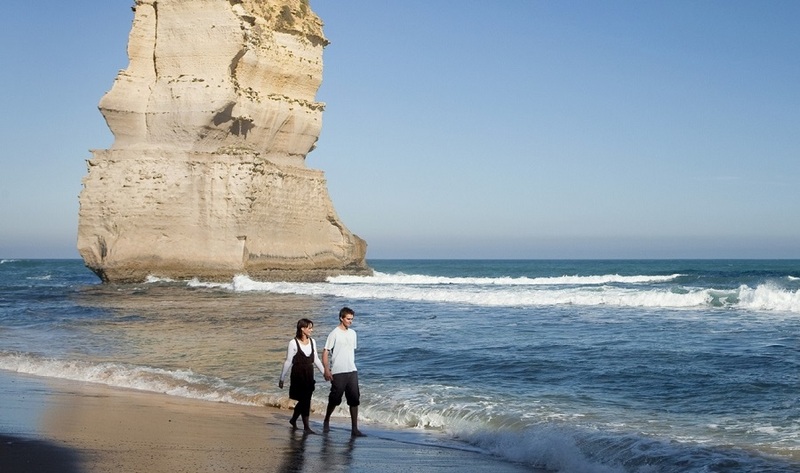 The Great Ocean Road promises a scenic drive filled with historic monuments and natural wonders. On this one-day adventure, you can experience quaint coastal towns that flank the wild Southern Ocean and unique landmarks that date back thousands of years. 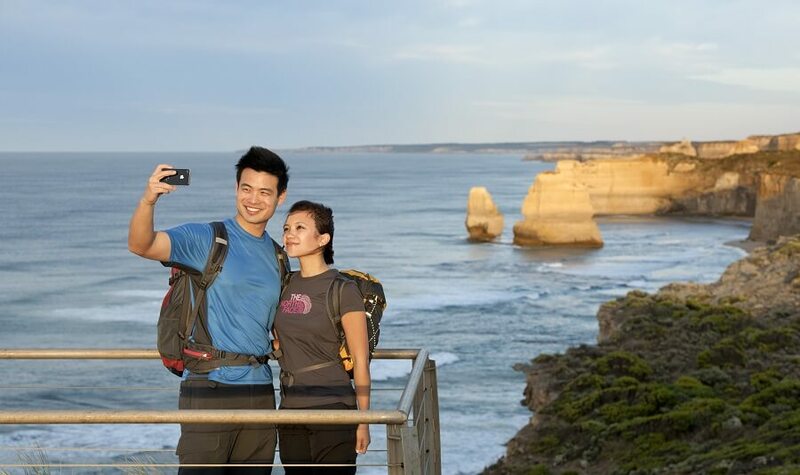 You'll all meet at Immigration Museum and rocket out of the city to be the first tour on the Great Ocean Road - avoiding the crowds while the other tours are still picking up passengers in the city. We start the tour in Melbourne, where we’ll then make our way towards Anglesea, which is also known as the gateway to the Great Ocean Road. On the way, look out for kangaroos in the surrounding fields. Our first stop is the iconic Memorial Arch, which marks the spot were returning World War One soldiers began building the Great Ocean Road. You’ll have time to stop and take photos here while learning more about the history of the soldiers who constructed the road for their fallen comrades. From there we’ll head to Apollo Bay for a bite to eat. The charming seaside town has plenty of cosy cafes, family-run restaurants, and eateries to choose from, and you can wash it all down with a sweet treat from Dooley’s ice cream parlour (own expense). 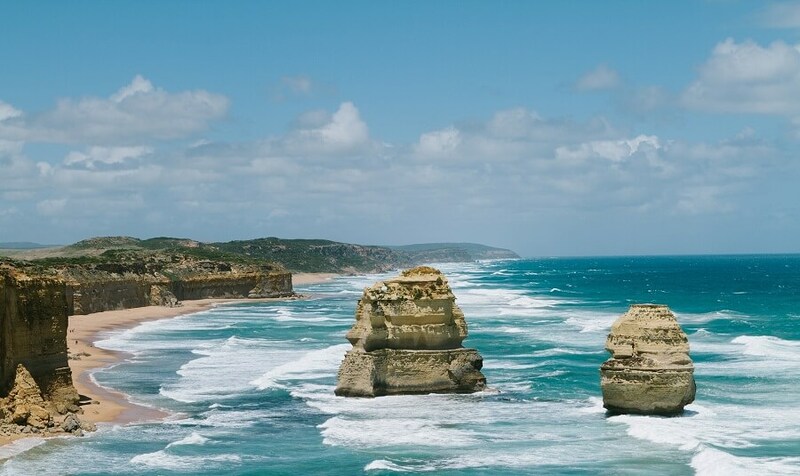 We’ll then drive through the beautiful Otway National Park, journeying beneath some of the world’s tallest trees, and join back up with the Southern Ocean at Port Campbell National Park. 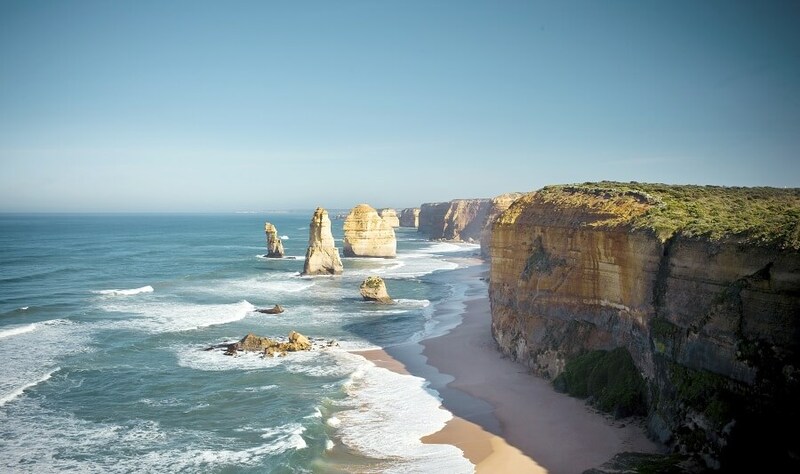 Here, you can see the 12 Apostles, one of Australia’s most iconic landmarks, where you’ll have free time to take in the views. 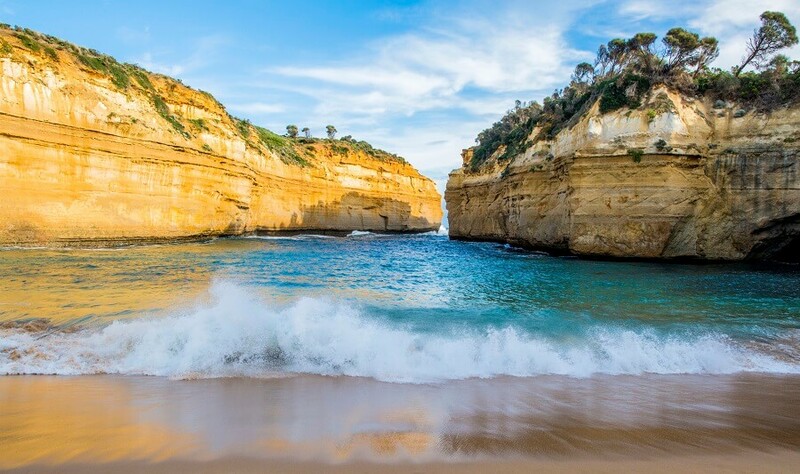 Whilst in the Port Campbell National Park, we’ll also take you down to Loch Arch Gorge where you can witness one of the country’s most famous shipwrecks. As well as learning about the tragic tale of Tom and Eva, you’ll have some free time to explore the beach and check out quirky rock formations like the Island Archway, Razorback, and the Salt and Pepper Shakers. After this, it’s time to head back. We travel back along the Great Ocean Road to Melbourne via the scenic route, taking in pretty farmlands and a patchwork landscape of fields. Please meet the tour at the Immigration Museum, corner of Flinders and Market Streets at 7:15am.